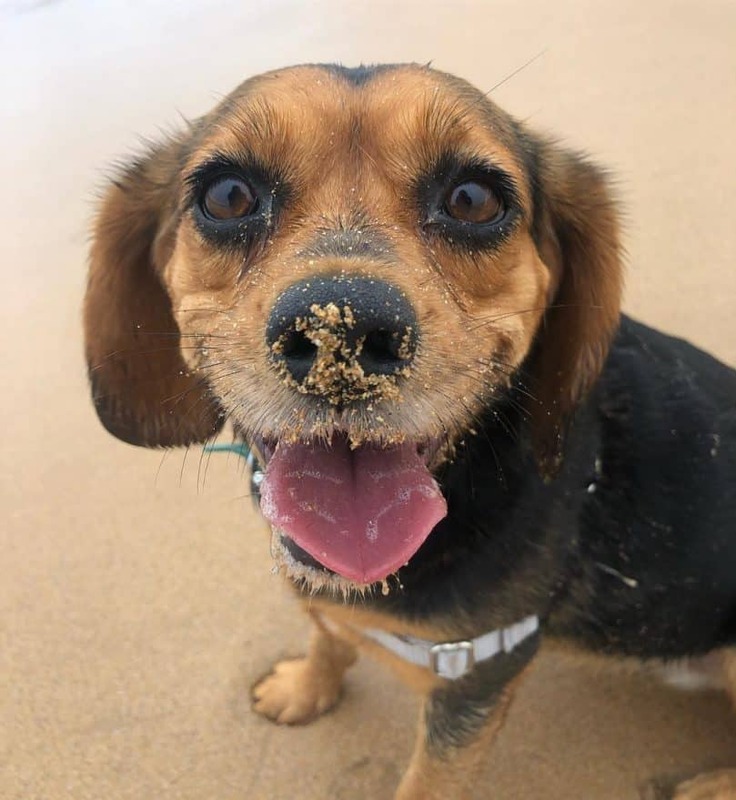 If you’re looking for a companion dog without a single aggressive bone in its body, read on to discover why the Beaglier or Beagle Cavalier mix is the best furry friend you could ever wish for! Conclusion: Is the Beaglier right for you? The Beaglier is a lovable mix of the Beagle and Cavalier King Charles Spaniel. The Aussies came up with the bright idea of making this hybrid a reality, and in the 1990s the Beaglier was born. Why a Beagle and Cavalier King Charles? Beagle enthusiasts wanted a smaller dog that was less scent-driven. The Beaglier was the perfect mild-mannered and low-maintenance result. Before you get all “ooh” and “ahh”, it’s important to note that with crossbreeds, there is no way to predict puppies’ appearance and personality. Instead, to get an idea about Beaglier genetics, we need to look at the purebred parents. Beagles are renowned for their sharp sense of smell, as they were bred in Great Britain back in the 1800s to be hunting dogs . Though small, they are highly energetic and love to sniff everything. They make great family pets and are very affectionate. Because they come from the hound family, you can count on a Beagle to be curious, determined, and focused on the task at hand. They do harbor a stubborn streak, but training helps curb this. Crate training is highly recommended for this breed, because they tend to need an extra push when it comes to being housebroken. The Beagle can weigh up to 25 lbs (11 kg) and reach a height of 16 in (41 cm). It’s lifespan is 12 to 15 years. It has a broad head with a short muzzle and a sleek, muscular body. Its medium coat is smooth and straight, coming in tri-colored patterns that include black, brown, tan, and white. 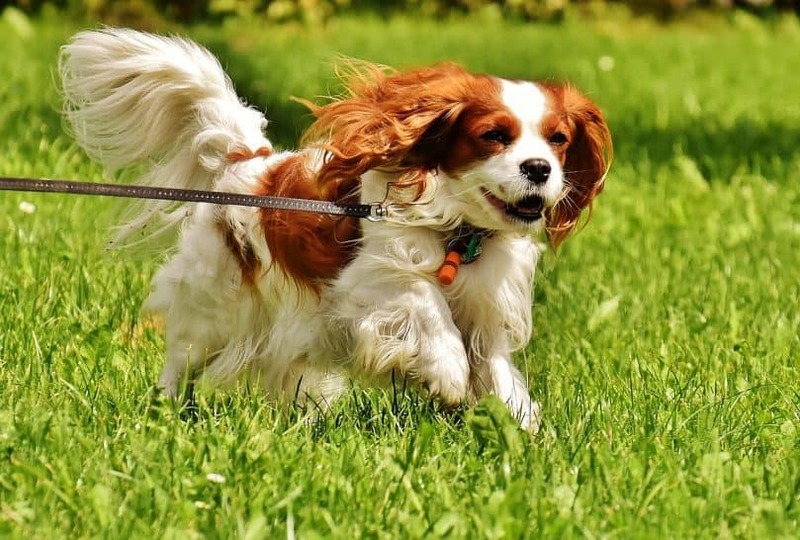 When it comes to tapering down the hunting dog instinct, a dose of the Cavalier King Charles Spaniel is the perfect ingredient to any doggie gene pool. It hails from the UK, bred over hundreds of years to be soft-tempered and easy. These personality traits, along with their small size, make them popular as lap dogs. These gentle characteristics also make them a popular parent dog for crossbreeds. The King Charles Spaniel is also known for its lovely silken coat, which tends to be long and feathered. It is not hypoallergenic, though. It comes in black, blenheim, tan, ruby, and tri-colour. Classified as a toy breed, it can reach a height of 13 in (33 cm) and weigh up to 18 lbs (8 kg). Its lifespan is 9 to 14 years. Attention, allergy fighters and those that hate dog hair on their sweaters: Beaglier shedding is low! BUT it also is not hypoallergenic. Thanks to the Beagle’s short hair and the King Charles’ long locks, there’s no telling how a Beaglier coat will turn out. It can be short and wavy, silky and smooth, or straight and coarse. 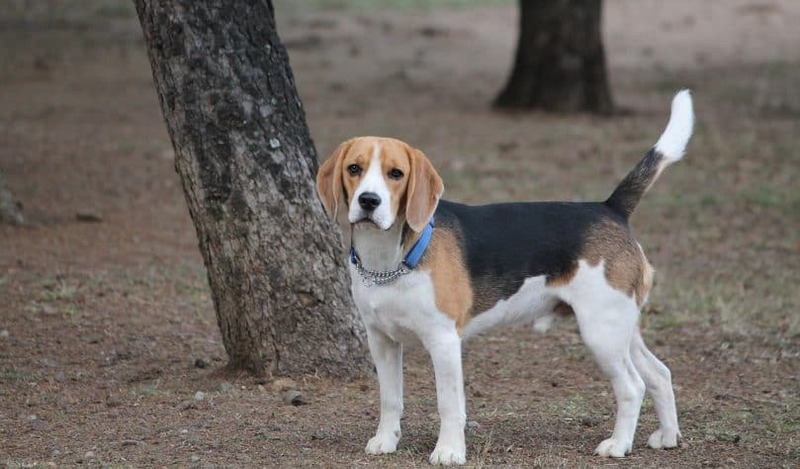 Beaglier colours include brown, white, black, tan, or tri-color. Beaglier grooming is a breeze; brush her once a week and bath once a month to keep her fur soft and shiny. A small size also makes it easy to manage in the household. A full grown Beaglier can reach a height of 16 inches (40 cm) and weigh up to 26 lbs (12 kg). You can get a closer look at the Beaglier puppies in this video for an idea of their appearance. The Beagle Cavalier mix has an incredibly easy temperament. They are loving, gentle and not shy when it comes to meeting strangers and other dogs. You’ll find them to be wonderful around children, making them great for first-time dog owners. With these characteristics, the Beaglier is suitable for houses or apartments. If you have pets such as hamsters, that Beagle hunting instinct might kick in, so don’t leave the Beaglier alone with smaller critters of the household. Also, since they need lots of attention, a Beaglier’s separation anxiety might cause them to act out by chewing. Chew toys will combat any destructive behavior. Beagliers aren’t too difficult to train due to their mild-mannered temperament. But, the type of training needed will depend on the traits inherited from the parents. Beagles are known for being stubborn. If the Beaglier inherits this trait, it can make obedience training drag on a bit longer than expected because you’ll have to be persistent with commands. The Cavalier King Charles, on the other hand, is eager to please. So, this trait can make a difference in attitude as well. It all depends on the dog! But, if you wonder why she’s refusing to follow your orders, know that it has nothing to do with the Beaglier’s intelligence – she’s just taking after her Beagle side. Speak firmly, but never yell. Reward with praise and a treat. They say that hybrids are not as prone to diseases as purebreds due to a larger gene pool. Whether this is true or not, you’ll definitely want to look at the medical history of a hybrid dog’s parent breeds, because common genetic diseases can be inherited from either. 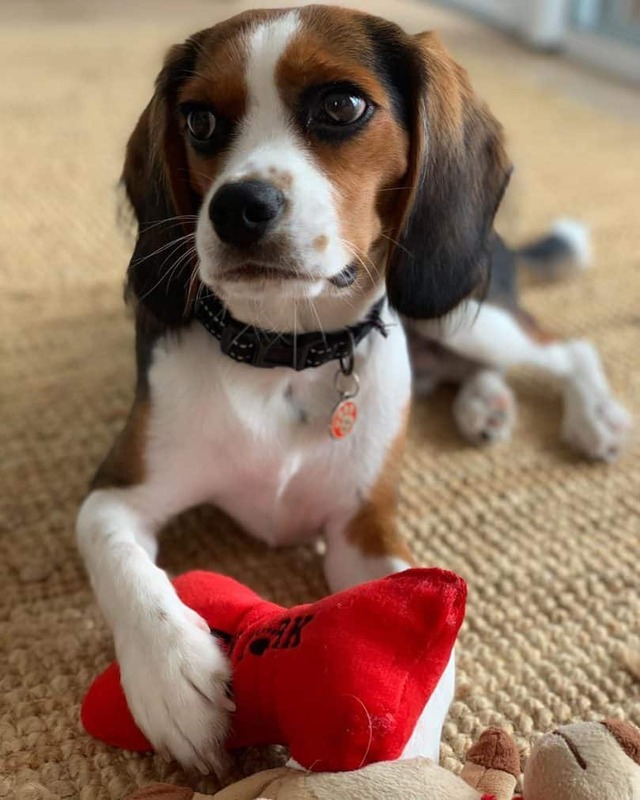 Health issues for the Beaglier include cherry eye, ear infections, heart disease, epilepsy,hypothyroidism, hip dysplasia, luxating patellas, vision and hearing disorders, and syringomyelia. The Beagle Cavalier mix should eat 1 to 2 cups of high-quality dog food each day. Make sure it is divided between 2 to 3 meals. Plenty of exercise will benefit your high-energy Beaglier. If you live in an apartment, take her for 1 to 2 walks each day or treat her with a playdate at the dog park. Unfortunately, the phenomenon of designer dogs has given rise to a dark force called puppy mills. Breeders that hail from these mills are always lurking about on the Internet, disguising themselves as reputable breeders. You need to arm yourself with knowledge to separate the good breeders from the bad. Here are our top tips to find the right Beaglier puppy for you. Visit the breeder to see where the Cavalier Beagle mix puppies grew up and how they were cared for. If the breeder doesn’t want you to come over, this can be a red flag. They should have nothing to hide! Since the Beagle Cavalier mix is a crossbreed, it’s essential to find out all you can about its parents. Are they available for you to meet? Ask for their medical history and health clearances to make sure they are free of genetic diseases that can be passed down to the litter. Ask breeders if they have testimonials from past customers. Make sure the puppies have already had basic vaccinations and deworming done and have the paperwork to back it up. The breeder should be proud and passionate when it comes to their puppies. They should be asking you questions about your lifestyle, schedule and experience with dogs. Be prepared and open to share. They want to make sure their babies are going to forever homes where they will be cherished and well cared for. There are people out there that impulsively buy designer dogs and then quickly realize they don’t have resources or time to give proper care. This is how many dogs end up in rescues. 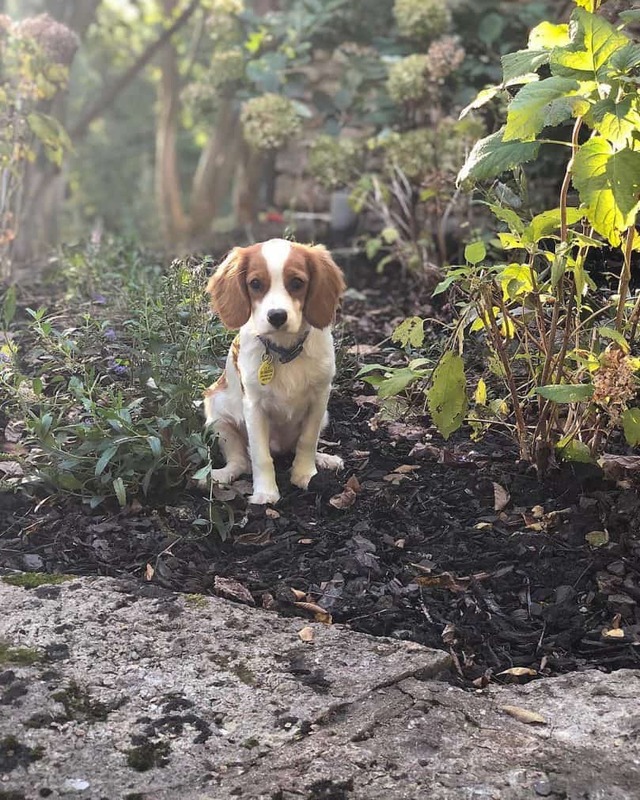 If the cost of a new King Charles Cavalier Beagle mix puppy is too high for you, it is always worth it to check out Beaglier rescues. Beagliers Facebook page: There are frequent posts for rescues and reputable breeders. Chevromist Kennels: Not only do they breed Beaglier puppies, but they have an adoption procedure as well. Let’s recap Beaglier pros and cons, shall we? This crossbreed is extremely affectionate and perfect for first-time dog owners and families with children. They are generally small, making them suitable for apartments or houses. Beaglier grooming requirements are few because they are not big shedders. Beagliers are trainable but can exhibit stubborn behavior. Just be persistent and your Beagle Cavalier mix will learn to follow commands. Beaglier separation anxiety can lead to destructive behavior such as chewing. Training will put a stop to any acting out. 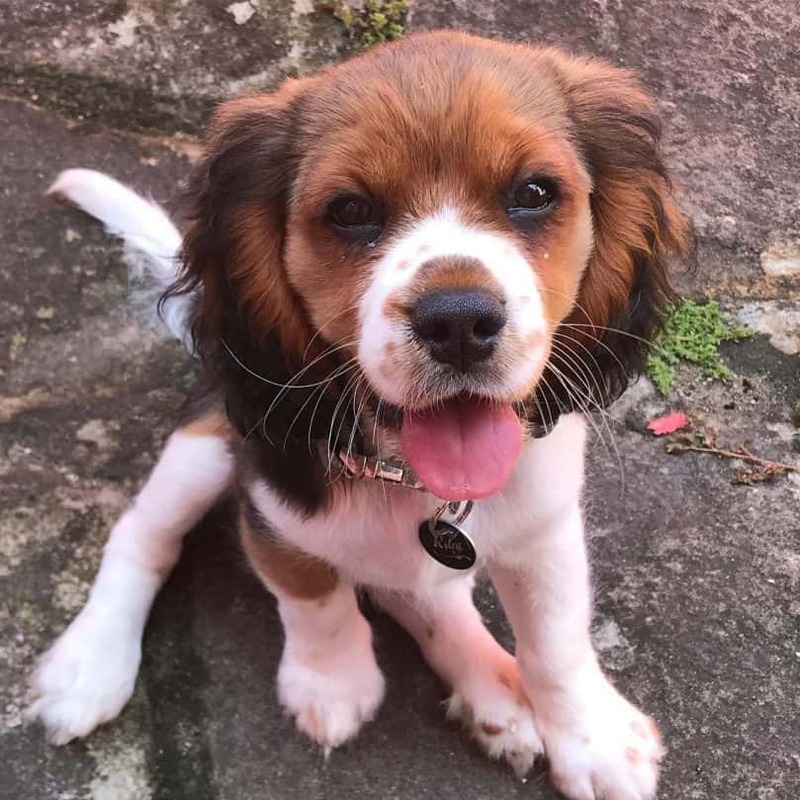 The Beaglier is a fairly new designer dog, but as a combo of the Beagle and King Charles Spaniel, it’s a happy, mild-mannered hybrid that’s sure to put a smile on anyone’s face.